Before the demonstrations in Egypt gathered momentum in Egypt, I wrote a short analysis of events in Tunisia, which is published in today’s Presse. In it I argue that the likelihood the fall of the Ben Ali regime will lead to democracy depends on a number factors, including the neighborhood, the larger geopolitical environment and a shared domestic goal. In particular, the regional context matters. Democratization processes are considerably more difficult if the country is surrounded by authoritarian regimes which all hope for the experiment in democracy to fail (see esp. in Kyrgyzstan). If the whole neighborhood goes, not all countries might succeed, but the old model of authoritarianism is clearly no longer acceptable. Thus, I would argue for Tunisia to have a good shot at democratizing, it’s example needs to be emulated in the region. The question now is whether the protests in the region will lead to 1989–the collapse of regimes in a domino across the region–or the colored revolutions of the 2000s when a few countries began democratizing (or rather restarted) but often remained in an undemocratic environment (Ukraine, Georgia, Kyrgyzstan). There are strong reasons to believe that what we witness is more like 1989. First, the trigger for the protests against the authoritarian regimes is not a rigged election, as was the case in Serbia, Ukraine, Georgia or Kyrgyzstan. Instead, it is general dissatisfaction with the system. Like Communist regimes, the autocrats in the Arab world have been increasingly unable to live up to the “bargain” they had offered. Stability and moderate increases in living standards for accepting authoritarian rule. The regimes have been increasingly unable to deliver. Second, the age factor. The average age of the leaders of the Communist leaders in Eastern Europe in 1989 was 74. 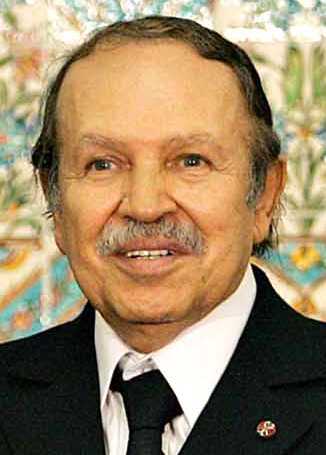 The average age of some of the Arab leaders (Ben Ali, Mubark, Saleh, Gaddafi, Bouteflika) is close to 73. 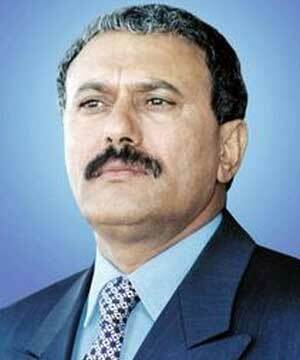 They represent a petrified a political system with little prospects for internal reform. While some countries have had younger leaders through dynastic succession (Assad, King Mohammed VI, King Abdallah), they represent the failure of the systems to fundamentally change from within. Third, the demonstration effect suggests close links between the protests in the region. A protest in one country (Tunisia) helped break the fear in others. As it is not rigged elections which triggered the protests, the circumstances have also allowed the protests to spread rapidly. Once demonstrators lose the fear to go to the streets, the options of the regimes are severely limited. None of these similarities mean that the regime will fall automatically. There is still the Tienanmen scenario for some regimes, while others might hope for protests to fizzle out. As they do not depend on a single backer (save for the US in a number of cases), like the Soviet Union, the links between the regimes are less immediate and the dominoes might not yet fall.